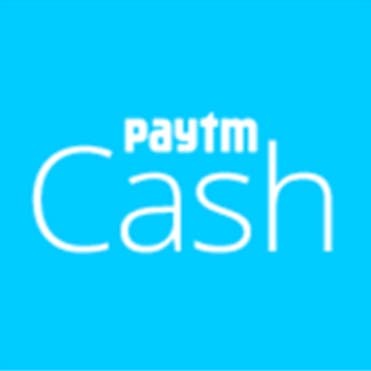 Paytm is now back with another free paytm cash offer. The new offer is the Paytm Stayfree Offer. Under the www.paytm.com/stayfree offer, get up to Rs 45 paytm cash for free. The Stayfree free paytm cash offer is valid to the December 25th, 2016. The coupon code of stay free paytm offer is applicable once per user. So, hurry up to avail this awesome loot offer. Also check out: True Balance App for Unlimited Free Recharge on Mobile. 2 How to Redeem the Paytm Stayfree Offer cash code? 2.0.1 NOTE: – Use the Chrome browser on Android or use PC/Laptop only to redeem the code. Otherwise, it will not work. 2.2 Tags: Stayfree paytm offer, Paytm stay free offer page, www.paytm.com/stayfree offer, Stayfree paytm cash code, Paytm Stayfree coupon code, www.paytm.com/offer/stayfree-help, Paytm Stayfree unlimited trick, Stayfree free recharge paytm. First of all, Visit any of your nearest stores. Buy Stayfree DryMax pack. (Note: Paytm cash offer should be mentioned on the front of the pack). Buy only Stayfree DrymaxAll Night 14 pack or Stayfree DrymaxAll Night 7 pack. Open the Stayfree pack; you will see a scratchable code. – Rs 45 cash code for the Dry Max 14 pack. – Rs 25 cash code for the Dry Max 7 pack. Now just note down the Paytm cash code and Proceed. How to Redeem the Paytm Stayfree Offer cash code? NOTE: – Use the Chrome browser on Android or use PC/Laptop only to redeem the code. Otherwise, it will not work. First, go to Paytm Stayfree Offer page on Paytm by clicking here. Enter the Unique Cash code that you got from the Stayfree package. Click on Proceed button > Login/Sign-up to your Paytm account. The free paytm cash amount will be added to your Paytm wallet instantly. You will get Rs 45 for Night14 pack and Rs 25 for Night7 pack. You can use the money to your Mobile Recharge & Bill Payment. Free paytm cash code is available only on Stayfree DrymaxAll Nights 14 pack and the Stayfree DrymaxAll night 7 pack. The stay free paytm cash code is printed on a sticker on the package as a scratch code. The unique Paytm cash code(s) should be redeemed only on the Paytm website. When a user applies the Code, he receives Rs 25 or Rs 45 on his/her Paytm wallet. Each cash code is unique and for one time use only. Participant/user can avail this offer for both Stayfree packs once for each- Rs 45 for Stayfree DrymaxAll Night 14 pack and Rs 25 for Stayfree DrymaxAll Night 7 pack. This www.paytm.com/stayfree offer is valid from August 10th 2016 to December 25th, 2016. Tags: Stayfree paytm offer, Paytm stay free offer page, www.paytm.com/stayfree offer, Stayfree paytm cash code, Paytm Stayfree coupon code, www.paytm.com/offer/stayfree-help, Paytm Stayfree unlimited trick, Stayfree free recharge paytm.